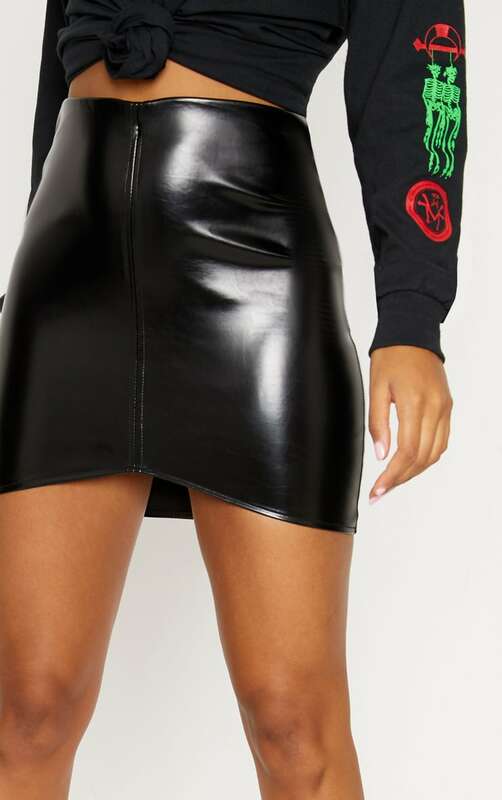 Be mega daring in this must have black leather mini skirt. 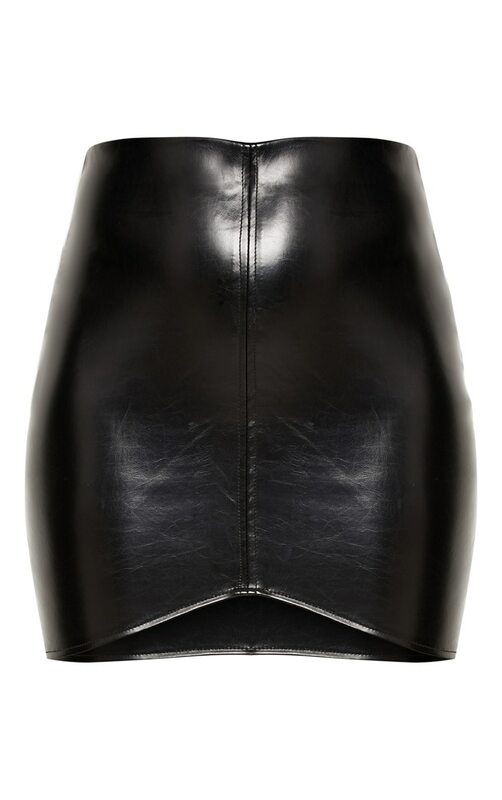 Featuring asymmetric panel and a soft faux leather material it will be sure to turn heads. Team with boxy crop tee and knee high boots for the ultimate biker chic look.